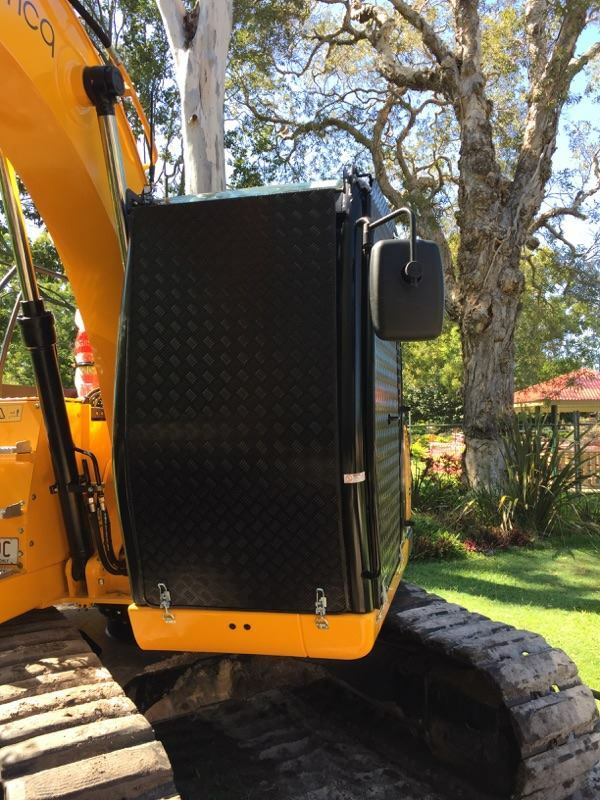 Stealth’s range of Vandal Covers (also referred to as Vandal Guards, Cab Guards or Machinery Security Covers) are designed and built for all makes and models of earthmoving machinery. 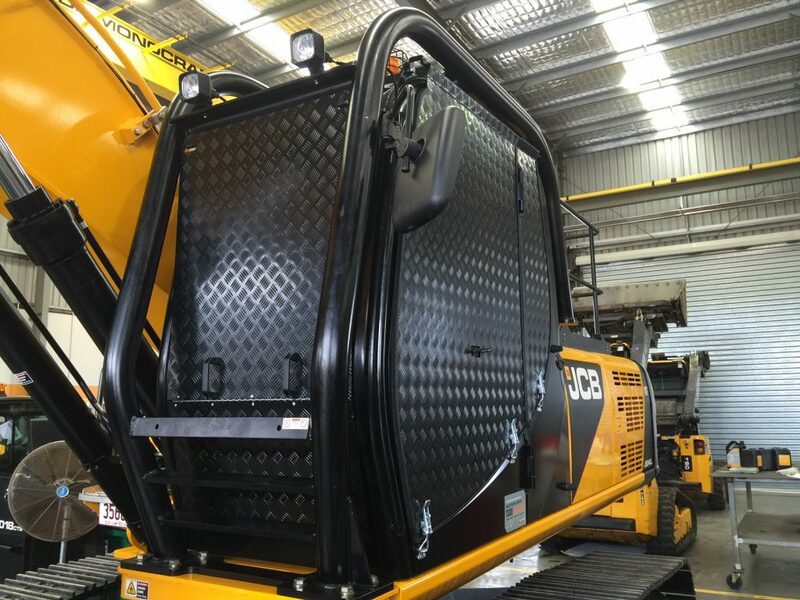 We fabricate our Vandal Covers from aluminium – a strong, yet lightweight and durable product, which will ensure your machines protection. 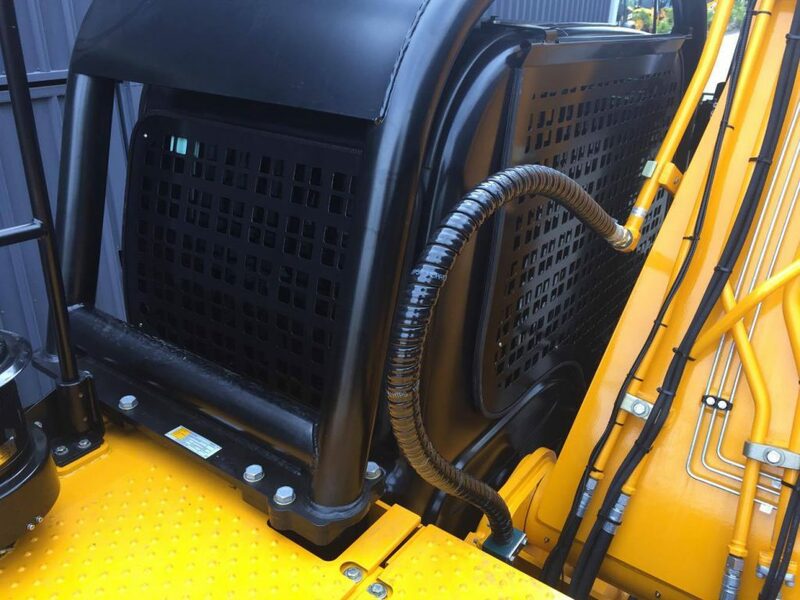 Our Vandal Covers are easy to install and easy to remove and come in a range of different options to suit your needs. 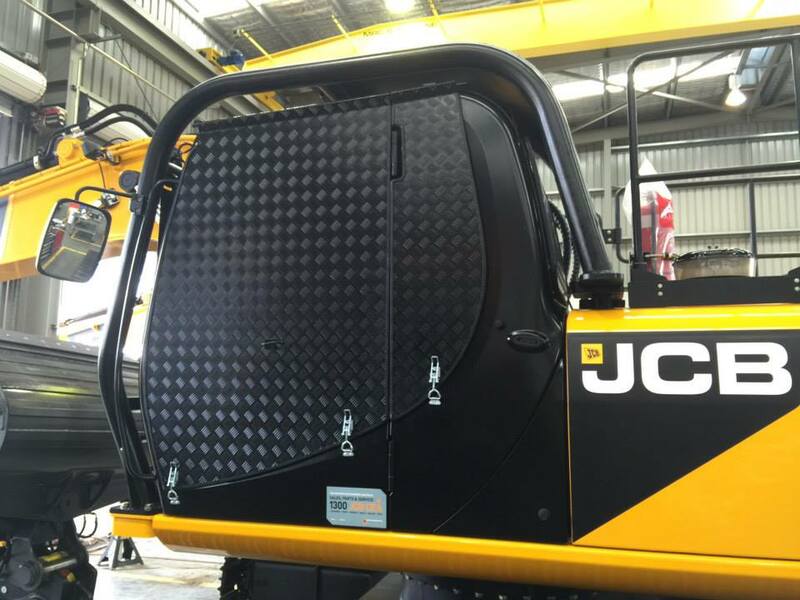 Stealth’s Removable Vandal Covers are hung from a strong, secure roof mounting system and are secured with overcentre fasteners. 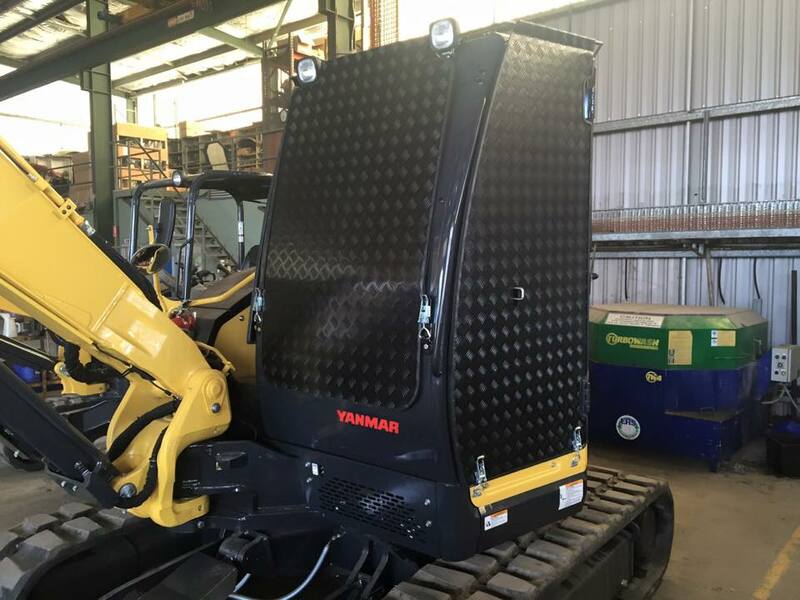 As there is no drilling into the cab, our fastening system does not interfere with the structural integrity of the ROPS. 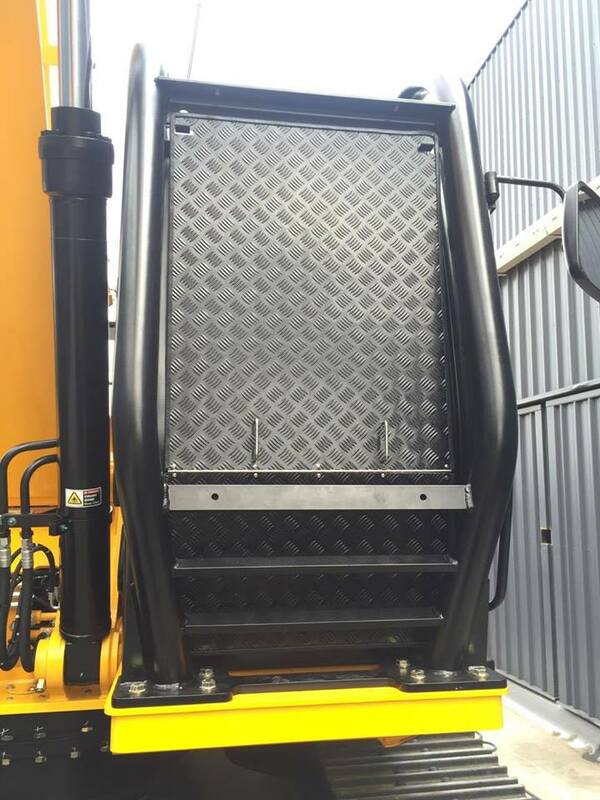 Stealth’s Vandal Covers can be supplied powder coated or as a raw aluminium finish, in chequer plate or mill finished aluminium. 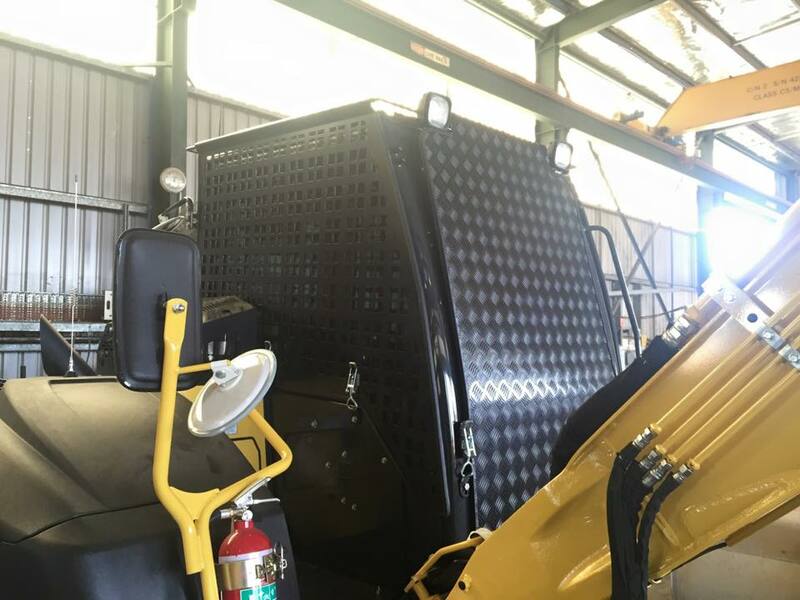 Stealth’s Semi-Permanent Combo Covers have laser cut panels (typically the boom, rear and quarter windows) that offer a great level of protection and visibility without having to remove these covers every time. 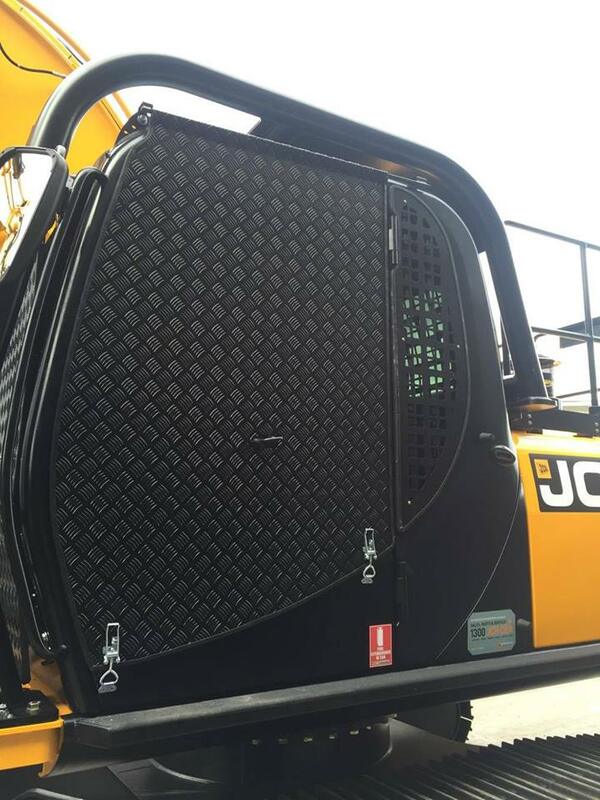 The Combo Covers have Removable Front Screen & Door panels. 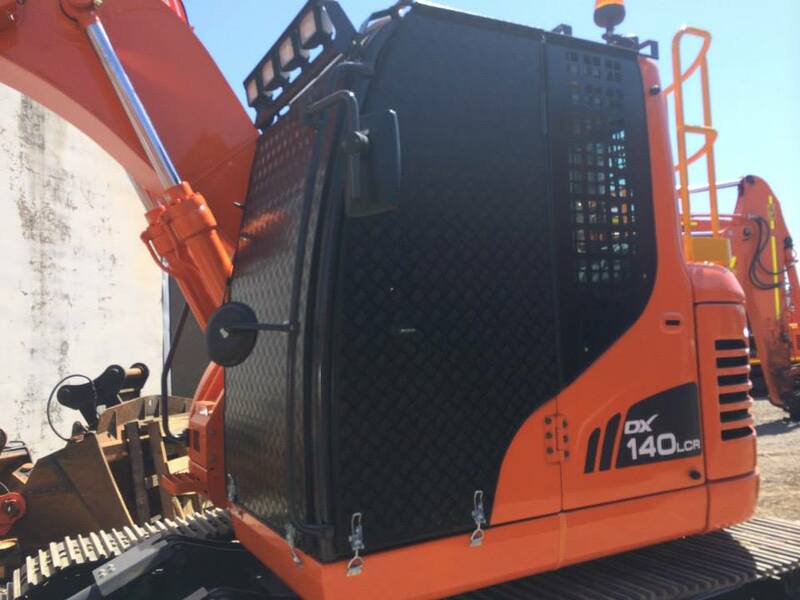 The Semi-Permanent Covers can be taken off when required for cleaning and maintenance. 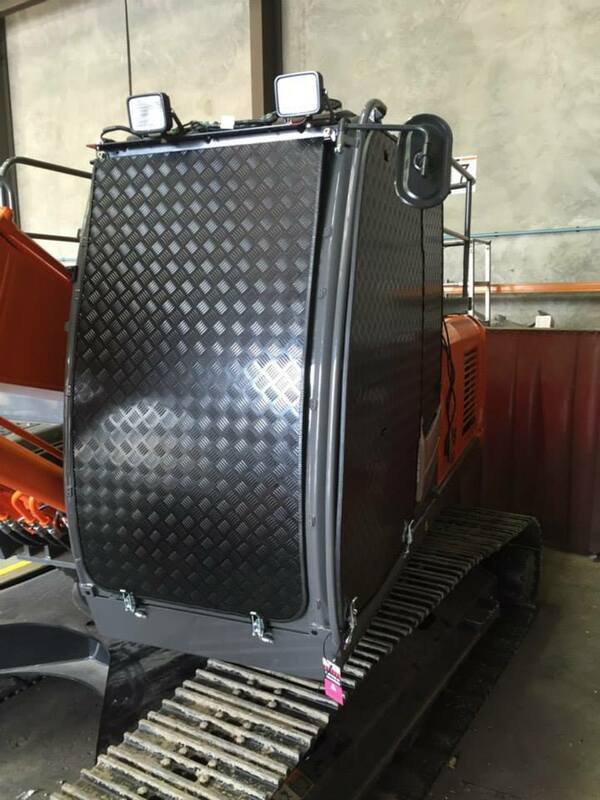 As there is no drilling into the cab, our fastening system does not interfere with the structural integrity of the ROPS.